The global success of the Scotch whisky industry has meant that imitators keep appearing from time to time with ingenious ways to try to get around protection laws. This is the reason behind the Scotch Whisky Association (SWA) working 24/7 blocking attempts by companies around the world to pass off their products as “Scotch” in order to boost their own profits. Scotch whisky is protected as a Geographical Indication (GI), meaning it can only be produced in Scotland, according to UK rules. Recent examples where the SWA has had to take action, supported where required by the UK Trade & Investment (UKTI) and the UK’s Intellectual Property (IP) offices, include Armenia, Australia, Belgium, Brazil, Bulgaria, China, Curacao, Ecuador, France, Germany, India, New Zealand, the Netherlands, Peru, South Africa, the USA and even in Scotland! See below some of the examples. 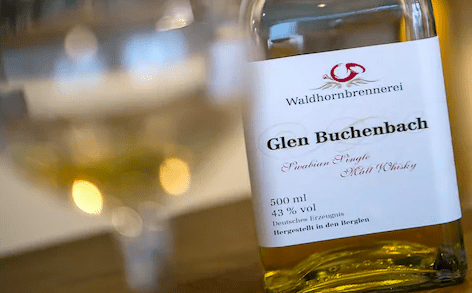 The latest example comes as a result of the long-running legal battle to stop a German distillery using the term “Glen” (as reported on The Times below).